Is the Woman Who Inspired Beloved My Ancestor? Could it be that I am descended from Margaret Garner, the real-life inspiration for the main character in Toni Morrison’s book Beloved? Born in 1834 in Boone County, Ky., Garner was an escaped slave who attempted to murder her four children rather than allow them to be captured and returned to slavery. In 1856, Garner and her family had escaped from Kentucky by walking on the frozen Ohio River into Cincinnati, where U.S. marshals caught up with them. Upon apprehension, she succeeded in slitting the throat of her 2-year-old daughter, Mary. Garner’s trial on murder charges, which made national news, became the longest-running fugitive-slave case in the history of the country, pitting the pro-slavery forces of Kentucky against Cincinnati’s abolitionists. However, the decision came back that it was not a murder case but, rather, a fugitive-slave case, and therefore a matter of property. She and her family were returned to their owners and eventually sold to a plantation in the Deep South. Margaret reportedly died in 1858 from typhoid. I am an author and a former editor of Essence magazine. About 10 years ago, after several coincidental events that resulted in prompting by Ms. Morrison, I delved into the roots of my father, Charles Moorehead Stokes, a racial-barrier-breaking judge and legislator in mid-20th-century Seattle. His mother’s name was Myrtle Garner, and according to family lore, she may have met his father, Norris Jefferson Stokes, in Kentucky. I wrote about the possible connection for Essence’s tribute to the 150th anniversary of Garner’s flight to freedom in the February 2006 issue. At the time, we used a genealogist who was a novice in the field, and he concluded that Margaret Garner is probably not a direct ancestor, but I may be descended from the northern Kentucky Garners. I am thinking that with your more highly experienced researchers, you may come to a less open-ended conclusion. In July 14, 1870, in Atchinson, Kan., we found my great-great-great-grandmother Esther Clark (age 79, born around 1786 in Kentucky) living with her son Andy Clark (a farmer, age 32, born 1838 in Kentucky); his wife, Mary Clark (keeping house, age 30, born 1840 in Missouri); and their son Robert Clark (age 10, born 1860 in Missouri). To determine the possibility that you descend from Margaret Garner, you must first work backward from your known ancestors. Information on more recent generations will help you determine where to look for information on the forebears further back in your lineage. We started with your grandparents, Norris Jefferson Stokes and Myrtle Garner, to see if any records for them revealed more about your Garner family. We located Norris Jefferson Stokes and Myrtle living in Wilson County, Kan., in 1900. They had been married three years, placing their marriage about 1897. According to the record, Myrtle was born in June 1879 in Kansas. Her father was born in Kentucky, and her mother in North Carolina. This aligns with what you know about the family. We hoped that a marriage record for the couple would reveal more about Myrtle’s family. We located a marriage record for Norris J. Stokes and Myrtle A. Garner for Nov. 3, 1897, in Allen County, Kan. This tells us that Myrtle’s maiden name was, in fact, Garner, but it did not provide her parents’ names. We then searched for Myrtle in the household of her father to make the connection to Charles M. Garner. In the 1880 census, Charles M. Garner is the head of the household in Smoky Hill, Davis, Kan. In the household were his grandmother Esther Clark and his daughter, Myrtle Garner. This document proves the relationships among these three people, but it does not name Charles M. Garner’s parents. We looked at the record for other clues that might help us identify Charles M. Garner’s parents. We noted in the household Charles M. Garner’s aunt, Kiziah Victory, born about 1820. We were curious about this connection, so we searched for an even earlier record of Charles M. Garner. In 1870, Esther Clark was living with her son, Andy Clark, as noted in the question. Charles M. Garner was not in this household, so we searched for him on his own in the 1870 U.S. census. We located Chas M. Garner in the household of Levoy Garner (possibly the transcription is wrong and the census taker wrote down Leroy) in Lebanon, Marion, Ky. The age is correct for your Charles M. Garner, but the clue that tells us we located the right person is that there is a Kizia Victoria living in the household. This is a match with the person recorded as his aunt in his household in 1880. The record does not include relationships, but it seems likely that Levoy/Leroy Garner was the father of Charles M. Garner, based on the fact that Charles is underage and there are other children in the household. One of these other children was named Murtie, suggesting that Charles M. Garner may have named his daughter after his sister. Using Ancestry.com (subscription required), we noted that Levoy/Leroy’s name was recorded as Dery Garner in the 1875 Kansas state census and that the family was living in Smoky Hill, Davis, Kan., by this date, with Charles in the household. Likewise, the household was recorded in the same place in 1880, recorded just two pages away from your Charles M. Garner, further suggesting that Levoy/Leroy/Dery Garner and Charles M. Garner were closely related. We noted from these records that his name was likely Derry, since most records record him this way, and that he was born about 1831 in Kentucky. From this, we were able to locate a United States Colored Troops Service Record for Derry Garner on Ancestry.com, which states that he served as a private in Company F, 5 Regiment U.S. Colored Cavalry. It also states that he was born in Pulaski, Ky., and enlisted on Sept. 23, 1864, at Nelson, Ky.
What is amazing about the record is that it records the name of his former owner, Lewis Patterson. The 1860 United States Federal Census Slave Schedule on Ancestry.com for the household of Lewis Patterson in District 1, Pulaski, Ky., includes descriptions of individuals who could be Derry Garner, Hannah Garner, Charles M. Garner and his siblings who were born by 1860. Based on this, it seems likely that your ancestors were former slaves in Lewis Patterson’s household. Given what we’ve found so far, it seems unlikely that Derry Garner or Charles M. Garner could have been a child of Margaret Garner, since the records we located so far indicated that they were in Lewis Patterson’s household. Furthermore, a history of Margaret Garner (pdf) by the scholar Steven Weisenburger states that her children’s names were Thomas, born 1850; Samuel, born 1852; Mary, born 1854; and Priscilla, born 1855. These names do not align with either Derry Garner or Charles M. Garner. This history also states that Margaret Garner’s mother was named Priscilla, though we do not have the citation for this claim. If this is the case, then Esther Clark could not have been Margaret’s mother. Based on this, it seems very unlikely that Charles M. Garner was a direct descendant of Margaret Garner. So now the question becomes, could your Garner ancestors have still been related to Margaret Garner? Though in life she yearned to be free, sadly, the best way to find this out is by tracing connections between those who enslaved her and your known ancestors. Since you now know about Charles M. Garner and Derry Garner’s former slave owner, Lewis Patterson, you could search for evidence that Patterson or his family bought and/or sold slaves with any of Margaret Garner’s slave owners, namely, John Pollard Gaines and Archibald K. Gaines. Through records for the slave owners, you may be able to locate evidence to suggest that your Garner family is related to Margaret Garner. We commend you on the journey you’ve taken so far to trace your roots, and can’t help noting that even if your search ultimately doesn’t turn up any familial ties with Margaret Garner, your own impressive family history shows that slavery could not crush the spirit that courses through your bloodline. 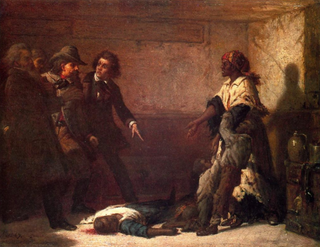 And the best news of all is that Margaret Garner's story lives! This answer was provided in consultation with with Meaghan E.H. Siekman, a senior researcher from the New England Historic Genealogical Society. Founded in 1845, NEHGS is the country’s leading nonprofit resource for family history research. Its website, AmericanAncestors.org, contains more than 300 million searchable records for research in New England, New York and beyond. With the leading experts in the field, NEHGS staff can provide assistance and guidance for questions in most research areas. They can also be hired to conduct research on your family. Learn more today about researching African-American roots.